Three hand-painted Aynsley pieces, sourced in charity shops, are decorated with a collection of traditional transfers. 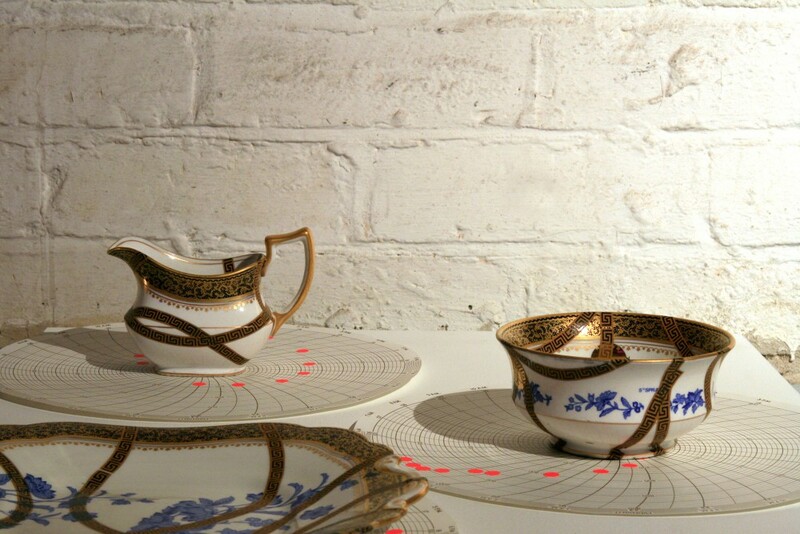 Mismatching pattern to form, the lines of decoration wrap and rewrap the inner and outer surfaces – layered, broken, worn and highlighted with gold these reflect the narrative of the ceramics industry in this area, the people working in factories, the feeling of being fragile and vulnerable. 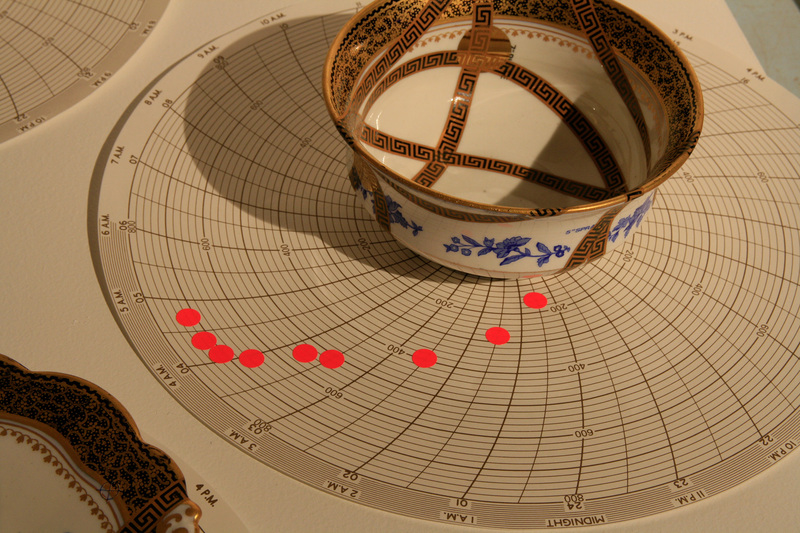 Multiple firing cycles have been recorded on firing charts from the factory, marked in fluorescent orange these record many layers of time, pattern, application, narrative.